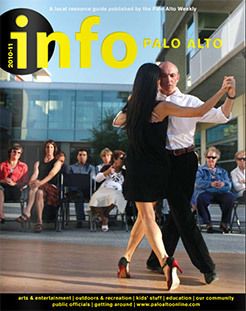 Igor Polk is researching tango since 2001. During this time he learned from innumerous famous and not so famous tango teachers from Argentina and US and earned a reputation of a best dancer on the social dance floor. Since 2008 Igor has been teaching tango transmitting you the secrets of this fabulous improvisational dance. Igor is the only dancer in San Francisco Bay area who knows all known styles of tango: Salon, Nuevo, Milonguero, Orillero, Apilado, and Canyengue. Igor Polk has engineering education and extensive software career at american companies. He is an author of San Francisco, Alcatraz and Las Vegas Virtual Tour CD-ROMs and the book "Perfectly Aligning Guitar Frets and Strings with Notes on a Staff". In Tango, Igor is partnering with graceful Cecilia Sung since 2009.